Zachary H. Sacks has been the winning advocate for the firm’s clients on several precedent-setting cases in both the California Supreme Court and the California Court of Appeal, which cases, to this date, are still cited by the Courts in California. After graduation from Yale University and Columbia Law School, and after a tour of duty with the United States Marine Corp, Zachary H. Sacks, the firm’s managing partner, came to California in 1963. Since that time, he has been active in all phases of workers’ compensation law. He has successfully represented clients from trial level all the way to the California Supreme Court. He has been instrumental in legislative activities concerning workers’ compensation law and has testified in the State Capital before legislative sub-committees on workers’ compensation issues on behalf of both clients of the firm, as well as organizations which he has headed in his long career in California. He holds the distinction of being the only two-time elected President in the 30 plus year history of the Southern California Workers’ Compensation Defense Attorneys Association and he was the first and founding President of the Statewide Attorneys Association called the California Workers’ Compensation Defense Attorneys Association in 1982 to 1983. He is only the 4th recipient in the 24 year history of the California Workers’ Compensation Defense Attorneys Association of the prestigious Warren L. Hanna Lifetime Achievement Award, conferred by his peers in May 2004. He is a prolific author and sought after lecturer, having first lectured to new admittees to the California Bar on workers’ compensation law in 1973. Since that time, he has been an annual featured speaker for multiple organizations and at multiple industry conventions throughout both the State of California, as well as across the country. He has been a featured speaker at the California Applicant Attorneys Association, the California Workers’ Compensation Defense Attorneys Association, the California Manufacturers’ Association, the California Self-Insurance Association, and a teacher and seminar instructor on various topics in workers’ compensation law for the firm’s highly acclaimed workers’ compensation training seminars for attorneys and clients as well as functioning as a guest teacher of Workers Compensation law at UCLA Law School. He has been the winning advocate for the firm’s clients on several precedent-setting cases in both the California Supreme Court and the California Court of Appeal, which cases, to this date, are still cited by the Courts in California. 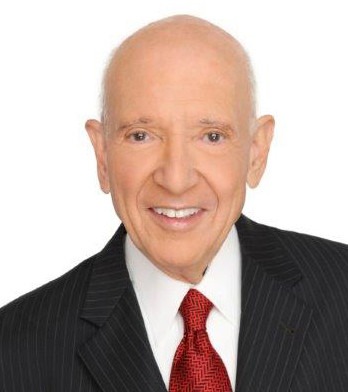 First acknowledged by Who’s Who in American Law in 1975 and the Best Lawyers of America in 1979, he has been featured in Men of Achievement in 1981, and Who’s Who in California, in 1986. He was among the first attorneys in the State of California to achieve status as a Certified Specialist in workers’ compensation law from the State Bar of California, California Board of Legal Specialization starting in 1973 and continuing to this date.